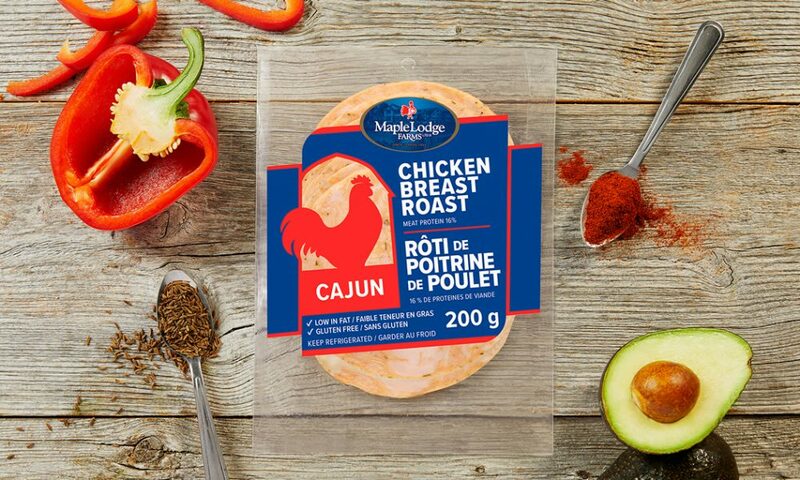 There are so many ways to enjoy chicken deli, but the fresh and spicy flavours in our Cajun Chicken Breast Roast Sliced make this good enough to enjoy on it’s own. Of course, it will still be a hit in sandwiches, wraps, appetizers and so much more. 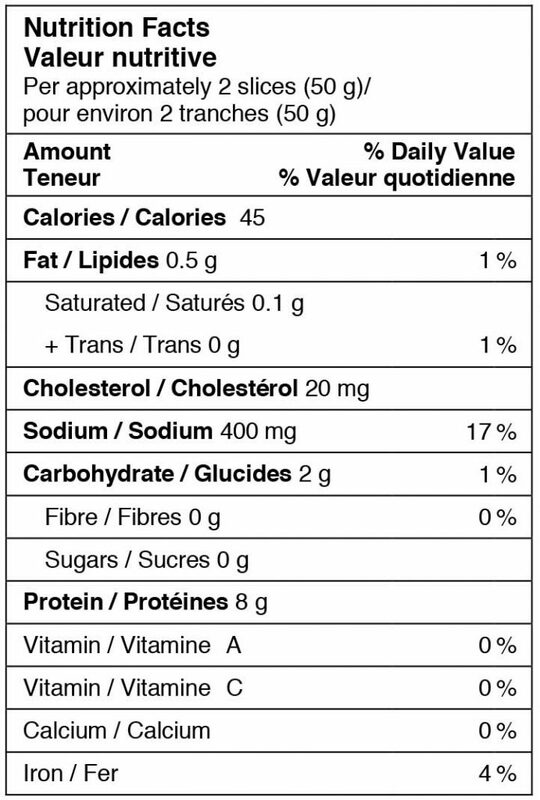 Chicken breast, water, modified corn starch, corn syrup solids, salt, dextrose, sodium phosphates, spices, carrageenan, dehydrated onion, dehydrated garlic, dehydrated lemon peel, hydrolyzed corn and rapeseed protein, flavour, sodium erythorbate, spice extracts, sodium nitrite. May contain egg.